The Shiloh Treatment Center has been paid $26 million since 2013 by the federal government to house migrant children. The company that operates the facility south of Houston has a history of problems, including deaths of children in its custody and allegations that children were systematically drugged with psychotropic medications. A new class-action lawsuit filed today on behalf of five immigrant children says the U.S. government is violating their rights by placing them in jail-like detention and forcibly drugging them with powerful psychotropic medication. The complaint, filed in U.S. District Court in California, argues that the federal Office of Refugee Resettlement is running afoul of a 1997 court order known as the Flores settlement agreement that requires immigrant children to be released quickly from government detention and placed in the least restrictive and appropriate setting as long as they remain in federal custody. 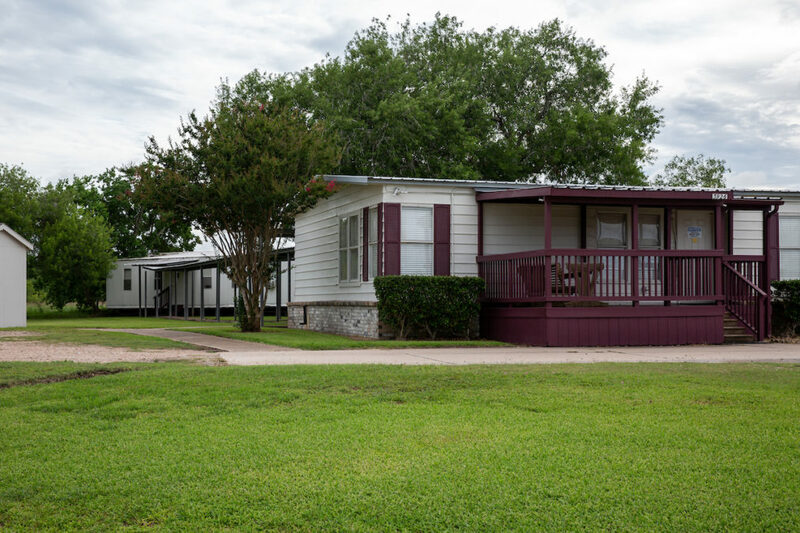 Last week, Reveal reported that a shelter in rural Texas had been giving children powerful psychotropic drugs against their will and without their parents’ permission, based on court documents and interviews. Some children were told that the drugs were “vitamins” and that if they didn’t take them, they would not be released or able to see their parents again, according to court declarations. The new lawsuit builds on those allegations, adding new cases of alleged abuse. It says children in immigration custody were unlawfully placed in government shelters where they were separated from their families and forcibly drugged with medication that made them sleepy, dizzy and gain weight. “The government’s tactics inflict trauma on the very children they are supposed to be protecting,” said Leecia Welch, a senior attorney with the National Center for Youth Law, one of the groups that filed the lawsuit. “Flying dazed, shackled children across the country in the middle of the night, jailing them like criminals, drugging them without parental or judicial authorization, and needlessly keeping them from family members who are able and willing to care for them is resulting in extreme deterioration of their mental health and causing lasting emotional harm,” she said. In the lawsuit filed today, a 12-year-old Guatemalan boy said that after he was taken into immigration custody in February, he repeatedly was drugged and treated for depression while he was in a shelter in Arizona and the Shiloh Treatment Center in Texas. Before he entered the facilities, the lawsuit says, the boy was “a thriving, happy child.” But as he waited for weeks to be reunited with his family, staff at the centers medicated him with psychotropic drugs that hurt his stomach. The boy now has been diagnosed with “major depressive disorder” and will not be released to his sister’s custody until Shiloh’s medical personnel declare him “psychologically sound,” according to the lawsuit. In previous court filings, officials with the Office of Refugee Resettlement have claimed the agency doesn’t need parents’ permission to drug children in its custody in certain emergency situations. A partially deaf 16-year-old girl fleeing Honduras was separated from her sister at the border, according to court filings. She was so distraught by the separation that she grew depressed and suicidal. The girl suffered a breakdown and eventually was transferred to several federal immigration shelters, including Shiloh in September. There, she says she was forced to take multiple antidepressants and psychotropic drugs. She remains in a detention facility away from her sister. A 17-year-old boy from Mexico was placed in a shelter in California as he waited to be released to his father. As the boy’s detention stretched on, he grew anxious that he never would be released and was transferred to Shiloh in July. There, the boy was administered several psychotropic drugs that caused him to “feel itchy, dizzy, aggressive, nauseous, and caused him to gain an unusual amount of weight in a short period of time,” according to the lawsuit. The boy objected to taking the medication, and his father never signed off on the medications, but Shiloh’s staff insisted, the lawsuit says. The boy also said he was physically assaulted by staff at Shiloh. One staff member put him in a headlock, he said, which ripped his earring out of his earlobe. When he reported the incident to a Shiloh doctor, the doctor laughed, he said. Another time, the boy said, two Shiloh staff members picked him up and pinned him against the wall so he couldn’t breathe, according to the lawsuits. The allegations match those made by a mother and son interviewed by Reveal and previous court filings in a separate lawsuit. The lawsuit demands that the government stop administering drugs to children without parental consent or oversight. It asks a judge to compel the government to quickly place children in the custody of a relative and ensure that children are not held in detention for prolonged periods of time. The suit also asks that children and their families have an avenue to protest their placement in government detention facilities and shelters. As Reveal previously reported, taxpayers have paid more than $1.5 billion in the past four years to private companies operating immigrant youth shelters that were accused of mistreating children. In nearly all cases, the federal government has continued to place migrant children in the shelters even after serious allegations were raised and after state inspectors cited them for deficiencies. One of the worst facilities is the Shiloh Treatment Center, which has been dogged by allegations of child abuse for years. It has received more than $25 million in grants since the government began contracting with the facility in 2013. Reveal found that the psychiatrist who has been prescribing psychotropic medications to children at Shiloh practiced without board certification to treat children for nearly a decade and was paid by drug companies that manufacture psychotropics he prescribed to migrant kids.